Last week, I attended the annual Sanctuary Awards alongside a range of talented individuals and groups who have helped to make a huge difference to sustainability in the MOD. 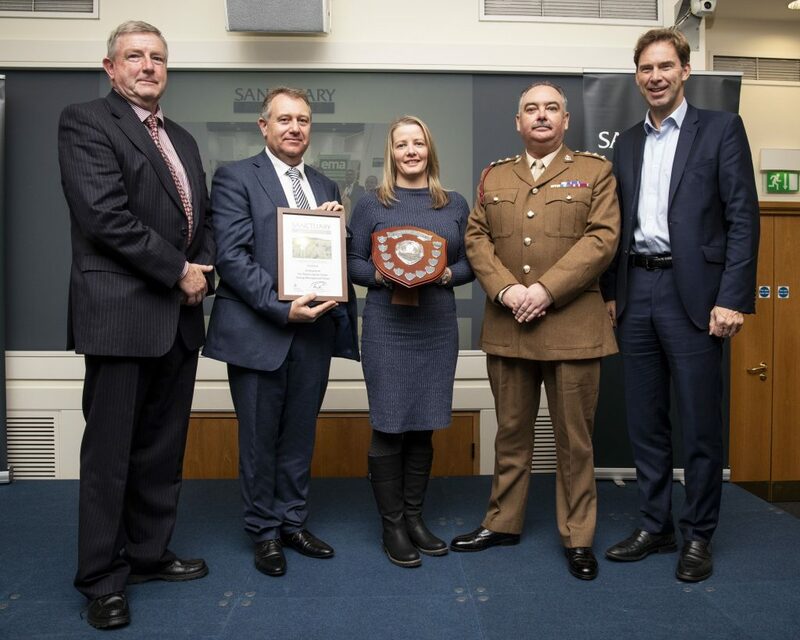 For those of you who don’t know, the Sanctuary Awards showcases MOD’s commitment to a sustainable estate and celebrates the achievements of teams and individuals who have worked so hard to preserve and protect the Defence estate, both in the UK and overseas. The awards are delivered by DIO, on behalf of the MOD. This year's event was hosted by DIO's Chief Executive Graham Dalton and Minister for Defence People and Veterans Tobias Ellwood. There are five award categories: Individual Achievement, Utilities and Heritage Award and the Environmental Project and Sustainability Project Award. The winners of each category are also considered for the Silver Otter and Sustainable Business Award. Here’s a brief overview of our worthy winners and runners up. The coveted Silver Otter Award and Heritage Award was won by Exercise MAGWITCH, an Operation Nightingale programme, for its work in recovering the skeletons of those who died on 18th and 19th century prison ships on Rat (Burrow) Island, Portsmouth. It’s an excellent example of collaborative work between Breaking Ground Heritage, Combat Stress, the Royal Military Police and 17 Port and Maritime Regiment. Runner up was Exercise Artemis 17 for their effort in excavating seventh century Byzantine structures and mosaics found on the east of RAF Akrotiri in Cyprus. The project supports Operation Nightingale, a joint DIO programme that uses archaeology to aid in the recovery of soldiers who are sick, wounded or were injured in operations in Afghanistan. 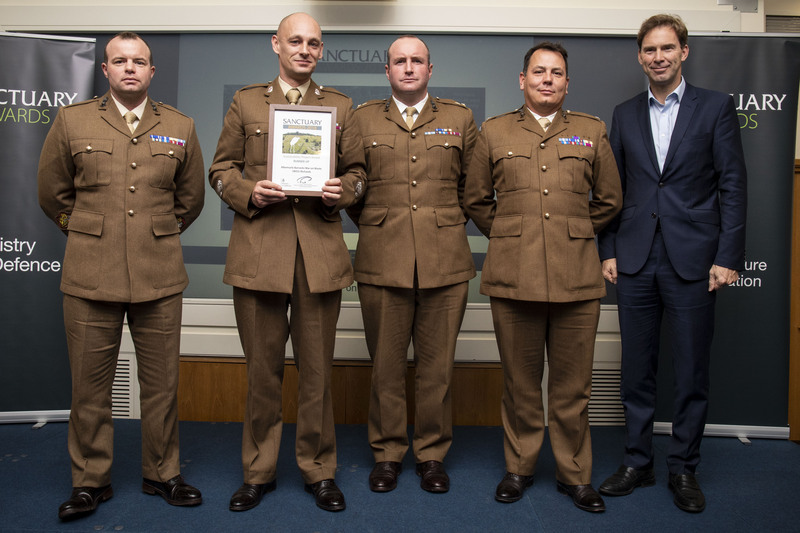 Congratulations to 29 Regiment, The Royal Logistic Corps Energy Management Team who won both awards for developing innovative ways to mitigate the impact of rising utility costs. The team identified areas where savings could be made and engaged with communities to initiate behavioural change which led to considerable savings during peak times of energy use when the National Grid is under pressure. 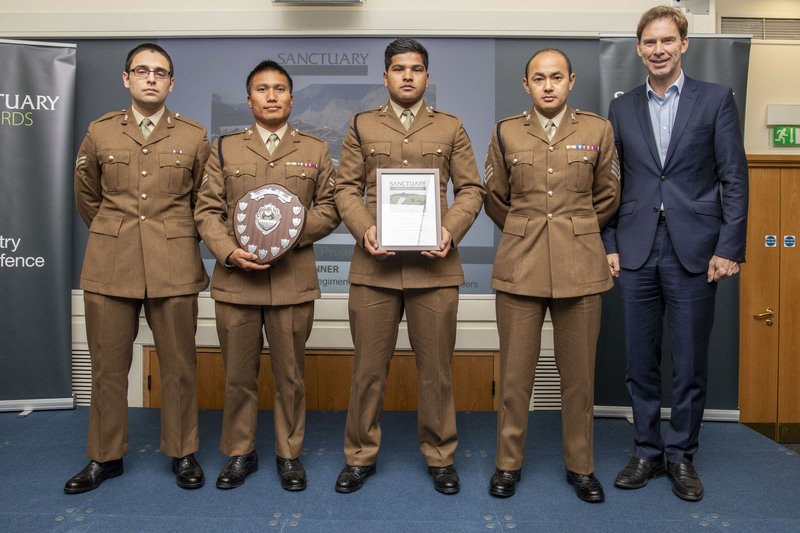 Runners up were Landmarc’s Sustainability and Waste Management Teams who have helped MOD achieve its Greening Government Commitments by diverting 95% of waste from landfill across the Defence training estate. Our Armed Forces play a crucial role in providing humanitarian and disaster relief in times of crisis. 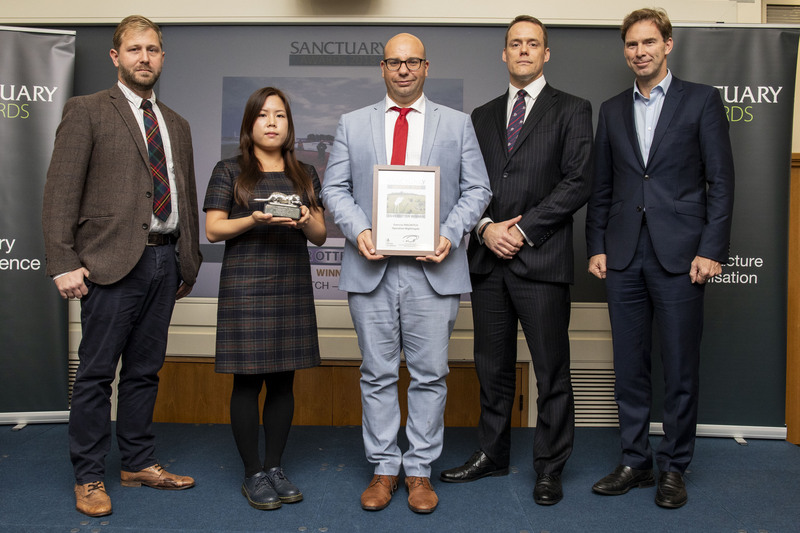 Operation MARMAT won the award for reinforcing water supplies, repairing transport roads and rebuilding several villages and schools after Nepal was hit by devastating earthquakes. Our runner up was Warrant Officer Class Two Richards from 3rd Regiment Royal Horse Artillery, Albemarle Barracks in Northumberland for helping to improve the quality of life for soldiers and families by transforming waste management on the site. 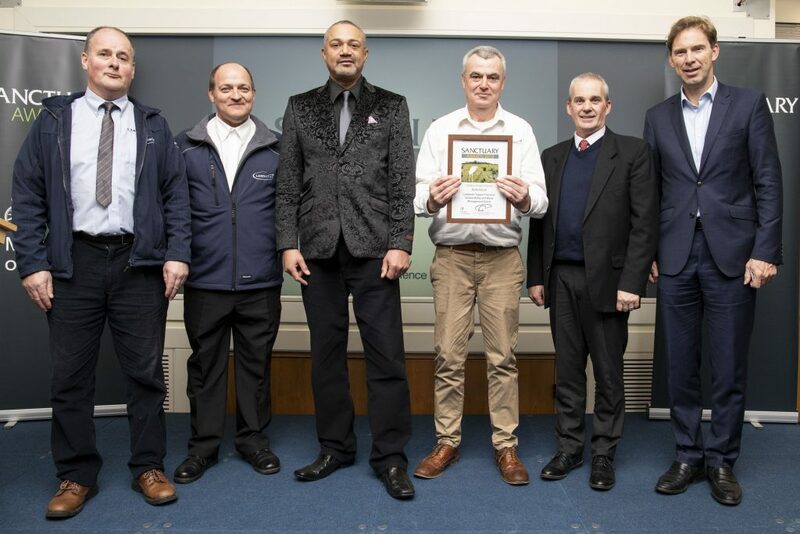 Winners of the award were Rame Peninsula Beach Care who removed nine million pellets of micro plastics from a 100 mile stretch of beach in Cornwall owned by the Defence training estate in Cornwall in just seven sessions. They have made a significant contribution to helping the MOD meet the Government’s commitment to reduce plastic waste and helped to reduce environmental pollution on the Defence training estate. 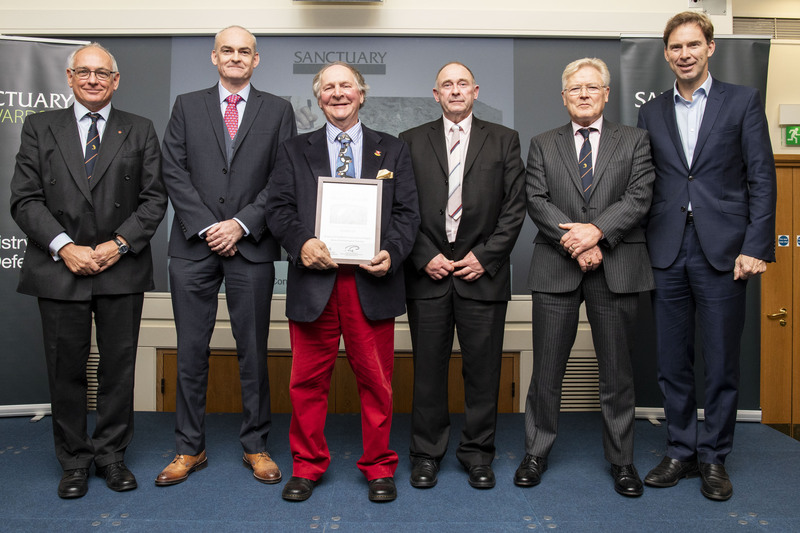 Runners up were the Army Ornithological Society Ascension Seabird Conservation Project for their work in safeguarding the local seabird population in the Falkland Islands. The team spent hundreds of hours training to handle seabirds and provided lectures to the public, conservation bodies and schools to raise awareness of the declining seabird population. 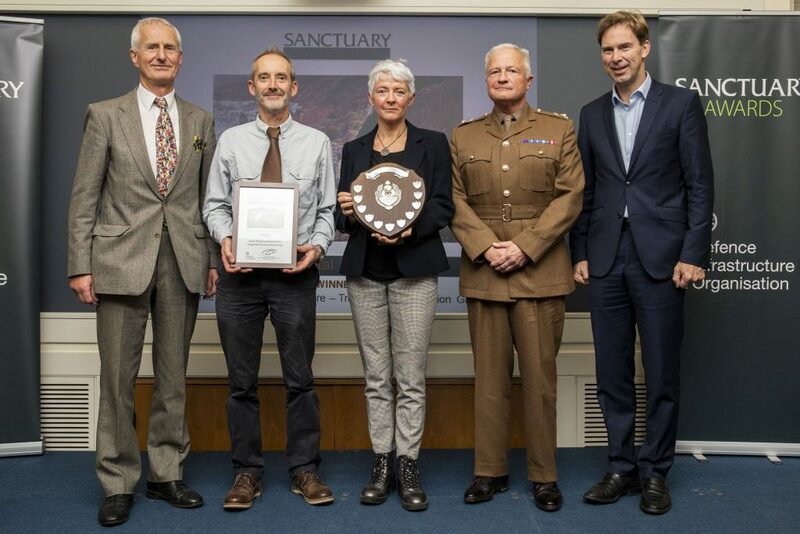 Major Tony Canniford, DIO’s Head of Establishment for Ballykinler and Magilligan Training Centre won the award for implementing wildlife protection initiatives including the re-introduction of red squirrels where he worked alongside Belfast Zoo, Northern Ireland and the MOD. He is a champion of biodiversity and a role model for environmental management on the training estate. 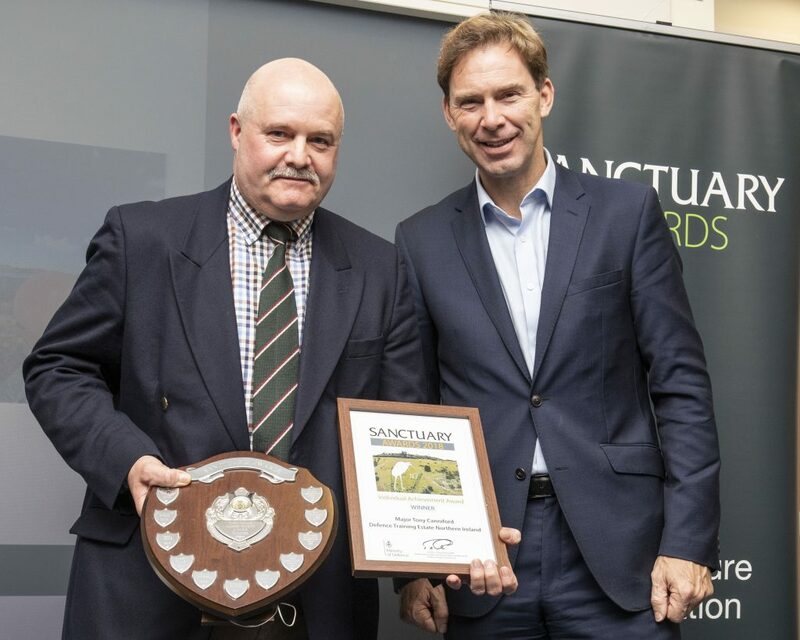 Lastly, Richard Hull was runner up for his passion in protecting birds at Fingringhoe Ranges. Since 1970, he has carried out bird surveys and the data he has collected has led to the development of two new ranges, which was crucial as the site is an International European and UK Protected Area. Find out more about the amazing projects happening across the Defence Estate in our latest magazine. It’s produced by DIO who provide good stewardship of the Defence estate, balancing military needs with sustainable management and conservation. I'm very interested in the kind of conservation work that takes place on UK military lands and training areas. How does a person end up working in these kind of roles in the DIO? Hi Oscar, thanks for the interest! You'll have seen that we blog about it quite a lot so definitely keep an eye out here for more information. Our jobs are posted on Civil Service Jobs and you can also follow us on LinkedIn - https://www.linkedin.com/company/10823865.